Herbal G.I. 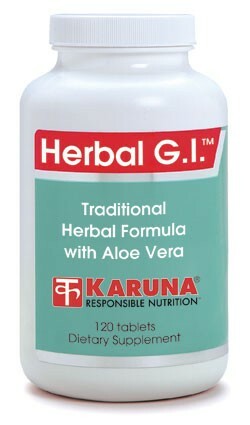 contains an array of herbs traditionally used by naturopathic physicians to maintain healthy gastrointestinal function. Derived from the naturopathic pharmacopeia, the formula provides herbs and nutrients which soothe and restore disturbed mucous membranes of the GI tract. 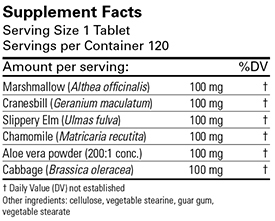 Suggested use for adults: 1-2 tablets, 3 times daily, or as directed.